Jewelry stone settings and mountings for pearls, gems and more. Shop here! Pad metal jewelry mountings for glue or solder. Pad posts and more. Prong settings for calibrated faceted gemstones or synthetic stones. Snap-in prong jewelry settings for mounting gemstones. Fast & easy! Tube and bezel stone settings for jewelers. Stock your studio or bench here! 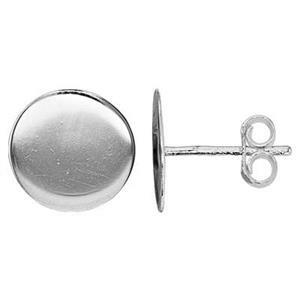 Huge selection of sterling silver settings! 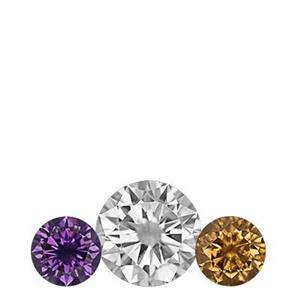 And we are excited to launch lab-grown diamonds and colored gemstones in small sizes to comliment our existing line of CZ - cubic zirconia. Jewelery artists who are setting loose facet cut gemstones, drilled pearls or cabochons will find various options here. 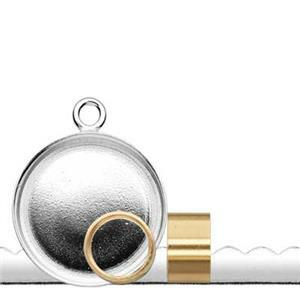 We offer prong settings, bezel settings, snap-ins, glue-ons and pearl posts. Tube settings are especially popular in current accessory design trends. If you are new to jewelry stone setting, it can be overwhelming. Check out our 5 Tips to Start Setting Stones for guidance on where to start. 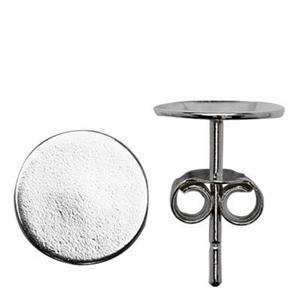 Premade setting components are ideal for calibrated gemstones in standard diameter sizes. 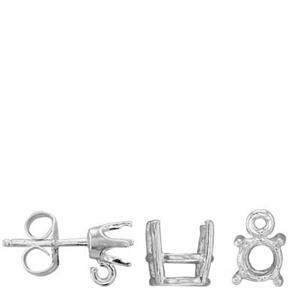 If you are setting custom cut cabochons, it is better to make your own prong settings out of jewelry wire or bezel settings out of strip wire or gallery wire. You will find raw material products in our Metals category. Shop our wide selection of jewelry chain to go with the pendant options available in this section.